The Mill build a virtual reality experience to showcase one of it’s latest technology innovations at London’s WIRED2016 festival – The BLACKBIRD®. 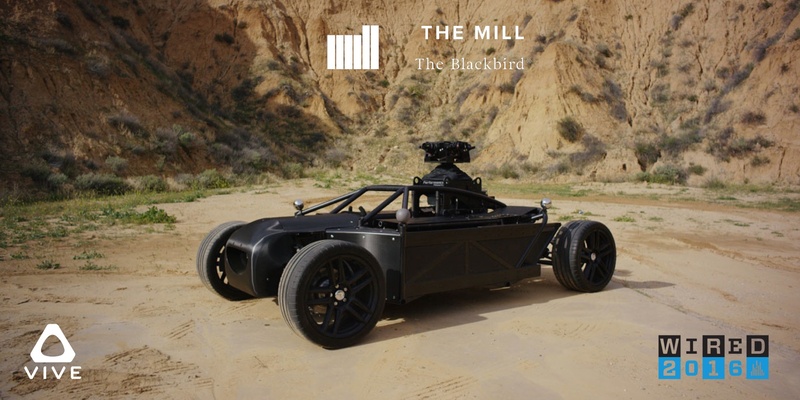 The Blackbird is the first fully adjustable car rig that creates photo-real CG cars. To demonstrate it’s particular form and function, The Mill build an photorealistic interactive VR demo for the HTC Vive. ShakeUp created the surround sound experience for the virtual performance.